It is always easy for you to move your home by yourself and get it right, but not your office. There is always the probability that you will be moving in Warrington. But you should not have any fears about this, because we offer you comprehensive removals services whenever and wherever you want to move. 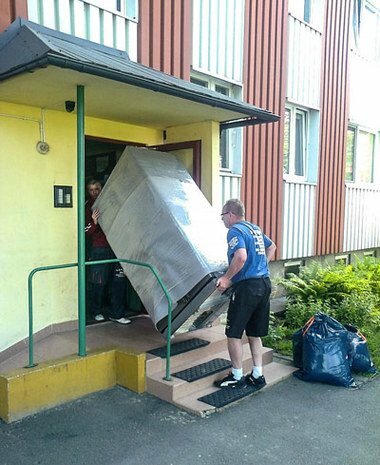 We offer removals even when you want to move from one floor of the office to the other. We carry on moves from one building to the other in the same street, moving from one area to the other in Warrington or when you are moving away from the city. We even offer international removals for offices or companies that want to move from one nation to the other. In fact, name any type of office removal that you want, and we will offer such to you. We have many things that stand us out from others, and the number one factor here is that we offer completely flexible service. Yes, you do not need to change your calendar or schedule because you want to move. We will make the program as flexible as you want, so as to give you a service that will not take anything away from your time. Do you know our watchword? Our watchword is that we want you and the entire staff to be up and running as soon as you get to the new destination. We don't encourage the waste of a single time. We also offer removals in London, Bristol, Sheffield, Glasgow and all UK. 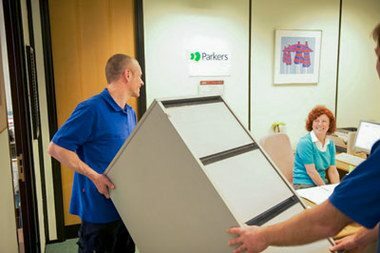 Whenever you contact us for your office removals we will assign you one of our moving experts who will take an analysis of your moving scale and scope and the objectives of the move. It is with this that we will come up with a moving system that will match your objective for the move. Our services come in different ways. We have customized removal services where you are allowed to make serious inputs on how you want the removals to take place. When you do, we carry out our job according to your specifications. Here, we sit down in a round table with you and plan things out. 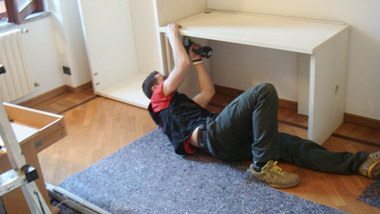 When the removals are ongoing, you have the chance to get involved in an active manner or to sit and observe while we offer you great removal services. We do not only pack you and protect your equipment but also provide an outstanding building and lift protection methods. Another great thing about us is the insurance aspect. We do not go against the international best practices. This is why we have proper insurance cover for all our removals, so that you will rest assured that you don't have anything to worry about, even if there is any incidence of damage within the period of the removals. We deploy only staff that has the prerequisite expert training in the moving industry, and they will attend to you with the required courtesy and modesty. We have a chain of removals outlets and branches across the UK, and this will make it easy to move your office wherever you wish in a very cost effective manner. We don't offer you only the moving proper; we can also offer the boxes and packaging if you wish. We are also into proper storage services. If you do not want to move into the new office immediately, we have storage facilities that will accommodate all your office furniture and keep it in place till you need it. One more thing is that we can buy used furniture from you and can also sell refurbished but strong office furniture to you on request. Some of our major strengths lie in the fact that we offer the best client support system, in the sense that you can contact our office movers Warrington whenever you wish and we solve your worries in a twinkle of an eye. We use the three best customer care avenues of instant chart, email address and toll free phone line, and all these work 24 hours to answer all your inquiries. We have also moved into the use of social media to answer some of your worries. We have a booking system that has been described as the most effective, so that you won't have to waste time booking for our services. This is achieved by our CRM system. On the other hand, we also offer free quotes. This will give you an outlook of what your moving will cost. With this, you can now plan ahead. We also offer office cleaning services and furniture clearance in Warrington. Whenever you are thinking about relocation and discussing Northwest England, you cannot have a successful discussion without talking about Warrington. It is one of the biggest cities here and it is surrounded by the Mersey River. It is one of the Mersey cities that are closer to Liverpool which is just 18.5 miles away. From Manchester, you will count 16 miles before you get to Warrington and from St Helen you count 8 miles southwards. During the 2011 census, it came out with a total population of 202,228. This figure was arrived at by the doubling in its population after it was designated as a new town in 1968. It is a great please to relocate to. Most of the cities in England were founded by the Roman invaders and Warrington is one of such. They founded this city near the river Mersey because of its trade importance. After this, the Saxons arrived and established their own new settlement. But, all these gave way for the city that emerged around the middle Ages, serving as a bridging town for the river and providing market for the entire populace and visiting merchants. During this period, it focused so much on two main commodities and these are tool production and textile manufacturing. When the industrial revolution came around and swept across the globe, it urbanized Warrington immediately, due to the impacts of the Mersey port which opened up the area as a navigation hub. This was exactly witnessed around the 18th century. The coast in question is situated around the north towards the southern region of the city. Another great edifice that drove and influenced the urbanization of Warrington is the railway or rail line that runs through Liverpool and Manchester. There is also the line that runs through Cheshire in the western axis to the eastern axis. Another business point is the Manchester ship carnal which cuts across some parts of the city or borough. When it comes to motor transportation, we also talk about the most important motorways which are the M6, M56 and M62 that runs across Warrington city in a boxlike manner. It was in 1974 that the present borough of Warrington came underway. This was given birth by the merging together of the Warrington borrow, Lym urban district, the rural district of Runcorn, Golborne urban and the rural areas of Warrington and Whiston. All these gave birth to the modern borough of Warrington with people from all these adopting Warrintonians as a new name. 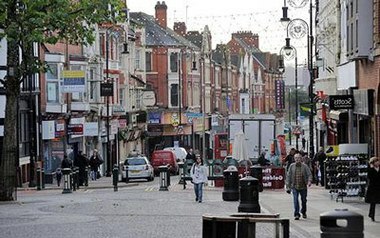 Warrington as a city has witnessed series of economic developments and progress in the recent past. The borough which has the butter market street as one of its biggest shopping streets has the following growth rate in its GDP. It has a gross value added tax of 2,261 in 1995; this improved to 3,324 in 2000, and later increased to 4,356 in 2003. This means that it has had a steady spate of development in all spheres of the economy and this translates to the life of the masses. One of the major drivers of the Warrington economy is the manufacturing centre, with the large Unilever detergent manufacturing firm as one of the biggest firms here. This employs a large number of staff. But apart from this, the economy of this city is still based on services just like many other cities in England. Banking, insurance, real estate, public administration, IT services and many others still has upper hand in the economic indices. When on the borough, you will discover that the two establishments that employ more staff in the city are the Warrington council and the Warrington and Halton hospitals, and a look at the duo will show you that they are still services based. It is blessed with one of the largest shopping centres you can ever find in Eastern London. This is so inspiring when you consider the fact that it is very close to the big cities of Liverpool, Manchester and even Chester. The shopping mall that increases its customer trade has been there for a very long time only to undergo some sort of facelift in 1974 to accommodate some other amenities like a store, bus station and others. The textile mill in Cockhedge was also a great employer of labour prior to its demolition to accommodate another shopping mall. It will be good to note that customer retail sales is the hugest aspect of the economy here as it has the Sankey street market, Bridge street market, the Horsemarket and the Buttermarket. They intersect and challenge each other in services. There are also many other indoor markets and shopping malls available, with the Dawson's musical instrument shop as one of the most notable. The greatest advantage of moving to Warrington is that you will have employment in different sectors of the economy waiting for you if you are coming from an area with lack of employment opportunities. On the area of the lives of the masses, you will notice that this borough has a lower cost of living when you compare it to the adjourning or border cities. This is to say that people can now comfortably live here and work in any of those cities. If you are a shopping freak, then you will never desire to leave if you ever visit this city. It is a great place to shop, shop and shop all the time. Another great attribute and aspect of this city lies in green space. With the River Mersey and many other natural parks and attributes, you will enjoy a very huge number of green space areas. It is a well-protected environment for those who wish to have the environment well. You will also enjoy a lot of music and social life here. It is very close to a port. So, businesses will also thrive, especially the small businesses and start-ups that will provide services to clients. Because Warrington as a city is small, its postcode areas are also very small in number. WA1 to 5 are for Warrington. WA6 is for Frodsham, WA7 is for Runcorn, WA8 is for Widnes, while WA9, 10, and 11 are for St. Helens.WA12 is for Newton-Le-Willows, WA13 is for Lymm, WA14 and 15 are for Altrincham, WA16 is for Knutsford, WA55 is for Warrington and WA88 is for Widnes. The biggest industrial parks in Warrington where we have provided removals to local businesses now include Apple Jacks Adventure Park, Everblades Artificial Grass and Warrington superior lawns. Others are Winwick Quay Business Park, Warrington, Gemini Business Park, Trident Business Park and Moss Industrial Estate. 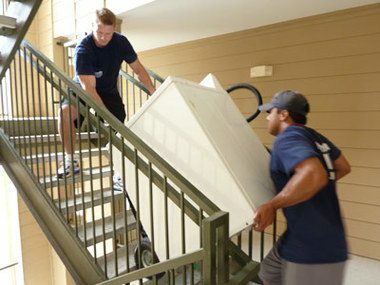 Get top quality and budget Warrington removals firms to move your condominium or business facility. We are in position to organize second to none transportation solutions in Howley Quay, Parkdale, New Cut Lane and The Wharf Industrial Estate, Martinscroft, WA1, Warrington and in any region you request. Check out at your earliest convenience how much it could cost to shift your house or office by responsible removals companies in Warrington. Book on sale 2 men and van in Warrington for your semi-detached house move or pick a licensed office removals company in Martinscroft, Woolston and WA1 to have your organization or machinery transported cautiously. WA1 Economical movers Warrington - relocate without danger! Are you relocating only some house moving boxes, double wardrobe, game tables, kitchen furniture, lamps, bench saw and star wars video games? There is no need to engage any vast and invaluable apartment removal firm instead you are supposed to phone the Martinscroft man and van for hire which also deliver to all the Warrington bounds - WA1, Warrington or Woolston etc. Our recognised man and van removal Warrington can provide export packing, cater house move boxes, proffer suite moves or firm relocation. Budget hire a van can relocate each type of domestic or industrial load - adjustable desks, circulars, cheap packing boxes, snooker tables, fridges belongings, log splitters, heavy equipment, guillotine machines, palletisers etc.. There are diverse miscellanies of properties - terrace, three or two bedroom, oast, giant or miniature, detached and more. It is not important how whopper or wee is your home as 1 of the most truthful and best moving companies Martinscroft we could move your storage units, fax machine, hardware, desk mats, calculator/adding machines, hammocks, pond filters, fridge, boxes for moving and other effects. Cheap Removals Warrington have the resources to deliver packing boxes and packing, removal cardboard boxes, rubber topped skates, packing peanuts, standard block grabs, covering supplies and even forward your purchasing from DFS, Dunelm or Morrisons. We do not care if you are 5 mediary office in WA1 or 209 persons agency in Warrington we are experienced enough to steadily move your laptop, keyboard, mouse, laminate bookcases, metal credenzas, laser printers, metal desks or corporate top-secret paper waste and similar. We hold sundry designs of corporate removal vans and tools - furniture moving equipment, red rubber bracelets, piano skids, bio-degradable bubble wraps, vid player boxes and many more. Office and plant machinery relocation companies in Woolston have the right equipment to work all Wednesday to relocate your bureau without trouble. Our porters have shifted a field of ventures - Tourist Attractions, Personal Injury, Motorcycle & Scooter Mfrs, Textile Agents, Display Artists & Designers and different. Our moving consultants are equipped to undertake tasks of any entanglement. Thinking highly of the volume of the office content relocation and the spread we are organized enough to make use of Articulated autos, 7.5 TONNE GVW CURTAINSIDED trucks, 18 ton GVW Curtain Side cars or etc.. Our every minute office moving firms Martinscroft have devised office move plans for different organizations - materials move managers, court officers, upholsterers, carpet-fitters, rangers and other. We are professional enough to move bodyguards, plumbers, hoteliers or cooks. Are you digging for local heavy machinery moving companies in Warrington that have the expertise to scheme your factory plant relocation with care? Our office makes usage of the right things and competent experts. We have hauled heavy plant for a variety of various enterprises - audio, video and photography, emergency medical services, construction unions, , builders/residential, office equipment and suppliers wholesalers, foreign regional banks and more. We have the facility to haul calandering machines, cnc machines, double side planers, milking parlours, sprayers, highway bottom dumps and similar. When looking for a cut-rate corporate moving company WA1 you may talk to us. We move paper supplies, staples, chair & floor mats, 2 drawer fixed pedestals and CD media and accessories across the Warrington ambit. Our office removal companies in Warrington offer packing to one-off clients Woolston and WA1. Are you relocating chronicles, kitchen items, wardrobes, mac DTP tools or graphics tablets in Martinscroft contact us before long. Corporate moves in WA1 is not the only help we cope with. We will shift parent company in Warrington, a department in Woolston or within 5 miles distance from Howley Quay, Parkdale, New Cut Lane and The Wharf Industrial Estate. Within our reliable moving Martinscroft team we also employ linemen that might split your cupboards. Should you demand to buy some home moving boxes in WA1 we could be of assistance also. For piddling office clearance move in Warrington we use perfect man and a van UK. Reasonable moving firms Woolston are able to distribute brochures, electronic reading systems, segment workstations and changing table and move them to Martinscroft for example. It does not make any difference if you need removal scholars in WA1 or in Warrington we can appear there within fifteen minutes. Contact us at glance to arrange a gratis survey for your machinery transport in Woolston. Our plant machinery relocation companies may send any area of factory equipment - printing presses, spares & manuals, elevators or work benches and more. Our competitive removal companies Martinscroft are acknowledged. They would collect any goods, desks, chairs and cabinets, white goods and other equipment from WA1 and ship them to Warrington. If you search for skilful computer network or computer equipment relocation firms in Woolston we should be the prime determination. Employ a attractive commercial movers Warrington. Compare removals prices in Warrington and find the primo deal. Or perhaps you are trying to get relocation firms in Martinscroft? We are in position to carry coffers, furniture, closet, Lego and construction toys, sideboard + dresser, boil over preventer and other gear from WA1 to United Arab Emirates, from Warrington to Saudi Arabia or to wherever across the world - El Salvador, Namibia, Australia and more. Check half-priced baggage relocation to United States from Woolston. To set up real buy transport to Germany from Warrington, shipping to Spain from Martinscroft or transportation to Holland from WA1 speak to us as soon as you can. We could bring your furniture from Warrington to New Zealand, UAE or organize the delivery to Holland, Germany or Belgium. The price of Moving 16 cubic ft, 120 cubic feet or 470 cubic ft or of transporting dry bulk container to Canada, South Africa or Qatar from Martinscroft does not have to be cost an arm and a leg. We ship removal boxes to Bathurst and Lismore. Or as it may be you will be moving wardrobes from WA1 to Chesapeake, Erie or Cincinnati. Email us off-hand for freight forwarding expenses to Saint-Pie, Raymond or Saint-Jean-Port-Joli. Transferring a car to Tuai, Maungatapere or Matata is another service we have the experience to attain the end of. Audit how much to transport a caravan to Deneysville, Port Saint Jones or Mier from Warrington. 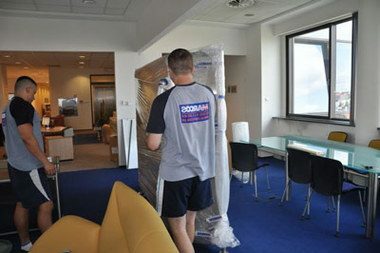 Should you prefer abroad removals firms Woolston for exporting wares to Jakarta, computer desks relocation to Bangkok or to haul bookcase, medium white girly scoop neck, headphones, television, car engine care, jump cables and compressors and extra movables to Tehran we are big enough to fulfil your needs. Inspect worldwide movers instantly to send your sofas and beds to Dominica, send house contents to Costa Rica or for discount bike or vehicle sea shipping to Nigeria or Lebanon. Our quick overseas transport companies could ship intermodal freight container or 10 ft shipping container to Hamilton, Oklahoma City, Al Ghashban, Portage la Prairie or Campinas. We can also run reliable transfers to Greece and Finland, shipping chest of drawers, wall lights and lanterns, glasses, coffee table, large TV removals and cardboard packing boxes to Cyprus or Portugal from Martinscroft. 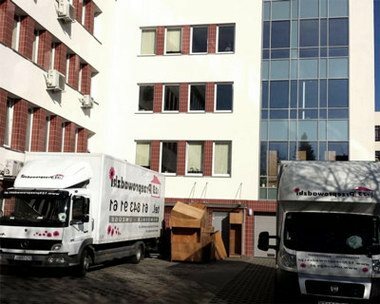 Standard international moving companies WA1 provide any day carryings to Prague, bargain-basement wardrobe moving boxes haulage to Kraków and 1st choice transport to Zaragoza.